It’s no secret the Dodd-Frank Act has raised the cost of doing business across the wide spectrum of financial products—independent reverse mortgage companies included, and they’re feeling the impact on multiple fronts. The impact could even be greater given upcoming product changes anticipated from the Federal Housing Administration later this month. With the possibility of daily visits from auditors, industry uncertainty over future regulations, and the need to expand compliance teams, smaller reverse mortgage banks say something has to give in order to keep business going. The more than 2,300-page financial reform bill is expected to have a net negative impact of $100 million or more on the U.S. economy, indicates a cost analysis cited by Rep. Spencer Bachus (R-Ala.), Chairman of the House Financial Services Committee during last year’s Mortgage Bankers Association conference. Although only about a third of the bill’s 398 total rulemaking requirements have been fulfilled with finalized rules, according to the Davis Polk’s December Dodd-Frank Progress Report, there are proposals for another third of the rulemaking requirements, and a final third for which rules have not yet been proposed. But what could cut deeper, say many smaller reverse mortgage lenders and brokers, is the uncertainty that accompanies the provisions that have not yet been specified. 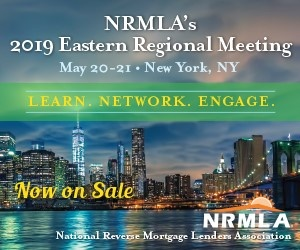 Dodd-Frank is the biggest change that has ever occurred in the world of banking, says Laurie MacNaughton, a reverse mortgage consultant with Middleburg Bank in Virgina who has taught a class for real estate agents on rules and regulations stemming from the bill and their impact. Compliance is the biggest issue, says Mike Broderick, a reverse mortgage loan officer at HomeStreet Bank, based in Seattle. Some of the biggest changes have to do with how business can be conducted, often hiking the cost of origination, and it’s making reverse mortgage lending more expensive. While “forward” lenders can charge processing and underwriting fees—which help a little bit, says Cook—the same isn’t true for reverse mortgage lenders. Smaller lenders will be perhaps disproportionately impacted by some of Dodd-Frank’s other provisions, including those for qualified mortgages (QMs) and qualified residential mortgages (QRMs). Lenders are awaiting finalized rules and definitions for both these terms this month, and don’t know what to expect. While larger lenders may have the option of selling other financial products to generate income, smaller community banks and credit unions might not have the same ability. Some say that certain loan products may become impossible or undesirable to offer because of risk, according to MacNaughton, and they’ll forgo writing home mortgages completely because of compliance costs. Banks have to pass on risks, and that will go to borrowers, she says. “My concern is, I don’t know how a small mortgage broker or even banker is going to survive if all these additional regulations are enforced,” says Cook. The Dodd-Frank Act may have the best of intentions—to protect consumers and prevent lending institutions from becoming “too big to fail”—but it’s entirely possible it will have the unintended consequence of making many smaller community banks too small to succeed. “I think it’s going to drag some small banks out of business and revert to larger banks,” says Broderick, although he adds that HomeStreet is actually gearing up to do more reverse mortgage business, viewing it as a growth industry. As long as there are seniors, and people wanting to stay in their own homes, MacNaughton agrees, there will be a market for reverse mortgages.